Normally I post photos and stories of our newest babies on the farm. Those babies typically are horses of course. This morning I went back through to see about Bucky’s post and… I guess I screwed up and didn’t post his. Shame on me. 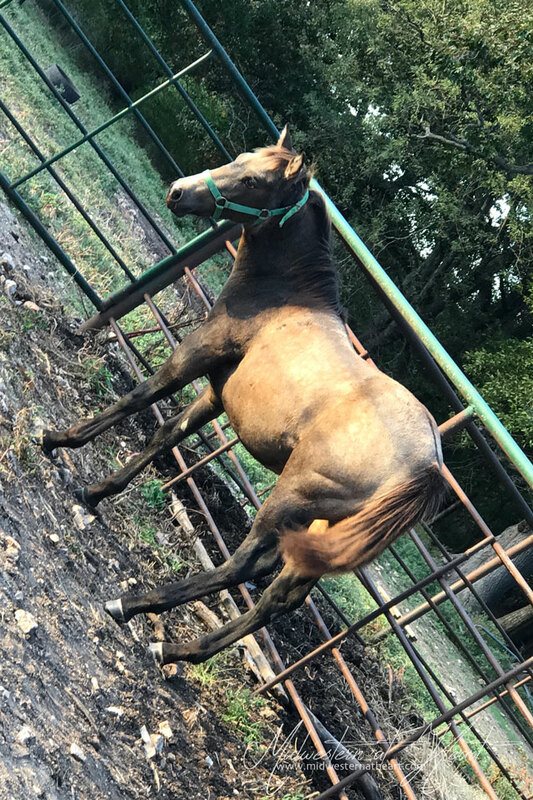 I posted the colt we sold earlier this year and I posted Little Brother 2 Spot‘s post, but not Bucky’s. Shame on me! He was born April 7, 2016. Just a couple days after Little Brother 2 Spot. If you’ll remember, I was swamped with trying to finish up my Master’s, graduating, and leaving for Cozumel. Maybe that’s how I brushed over this post? 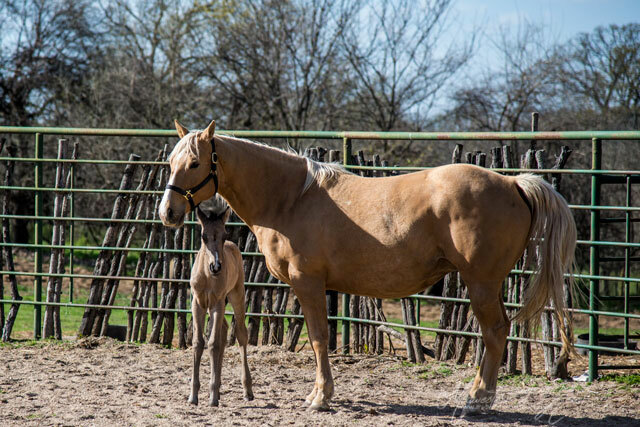 Bucky is out of our mare we call Blondie, for obvious reasons… she’s a Palomino… aka Blonde. In the beginning, we thought we might have had him sold so I didn’t mess with him too much. I didn’t want to fall in love with him and then be heartbroken when he went bye bye. It happens. A lot! Like I said, since I thought we had him sold, I really didn’t mess with him much. One night though I decided I was going to go play with the colts. We had three that year. I opened up the pen where they were and though, I’ll see which one comes out first. Lo and behold, it was Bucky. Up to this point, none of the colts had really been messed with. It was only less than 5 minutes and he was loving on me and nuzzling me for attention. I decided to go to the barn and get a halter and see if I could get it on him. Now, remember, at this point, I hadn’t had a halter on any of them. The only messing with they really had was when we did chores and fed them. By this time it was early fall, just for a frame of reference in timing. 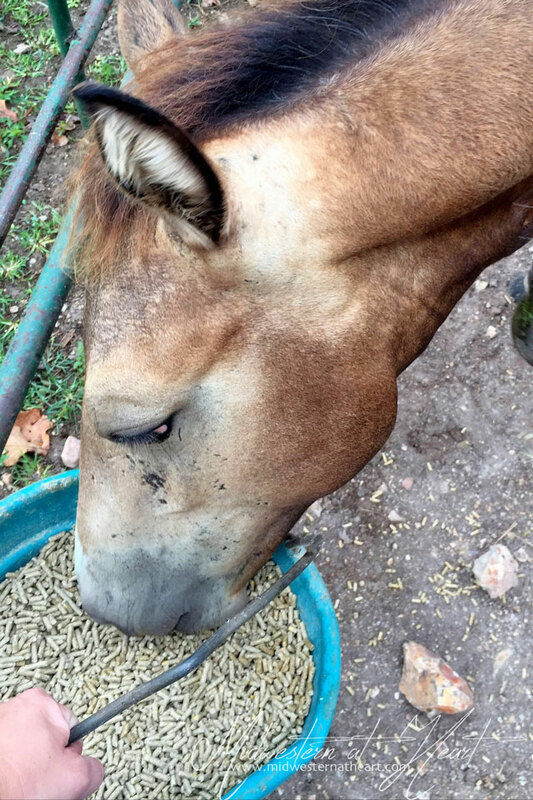 While I was in the barn, I grabbed a bucket of feed too. I’m not opposed to bribing to get a halter on if that’s what it takes :). It really didn’t even take the feed. I seriously had that halter on him in less than about 5 minutes. This is the most laid-back, relaxed horse, I swear. 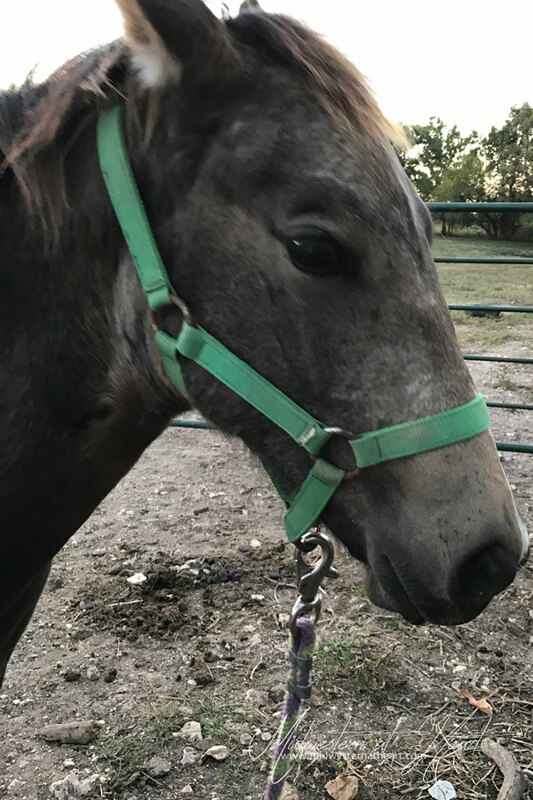 I decided once I had the halter on him, now it was time to try and “teach him to lead.” Guys… that’s a little more difficult when you think he weighs twice if not three times what I do. So… you put the lead rope on them. You hold pressure. Once they give into that pressure and move closer to you, you release the pressure. It’s a lot of tedious work like that, but the thing is… it works. By the end of the evening, I had him leading. I always swear that when you put a halter on one of these colts, they look like a cute little kid who is wearing glasses for the first time. Okay, that’s a weird comparison I know, but basically, just saying, they are really cute!